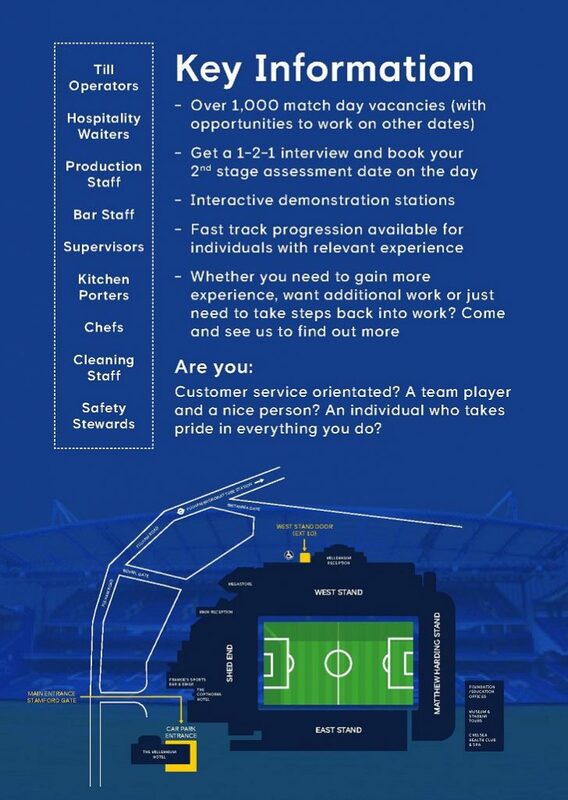 Chelsea FC are now holding Recruitment Days for Matchday Staff looking to work at Stamford Bridge for the forthcoming 2018/19 season which starts in August. Matchday staff are employed for weekend and some weekday evening fixtures in various hospitality, security and cleaning roles including Bar Staff, Cashiers, Kitchen Porters, Waiting Staff and Chefs. Hospitality team members earn £10.20 per hour and there are over 1,000 match day vacancies available. 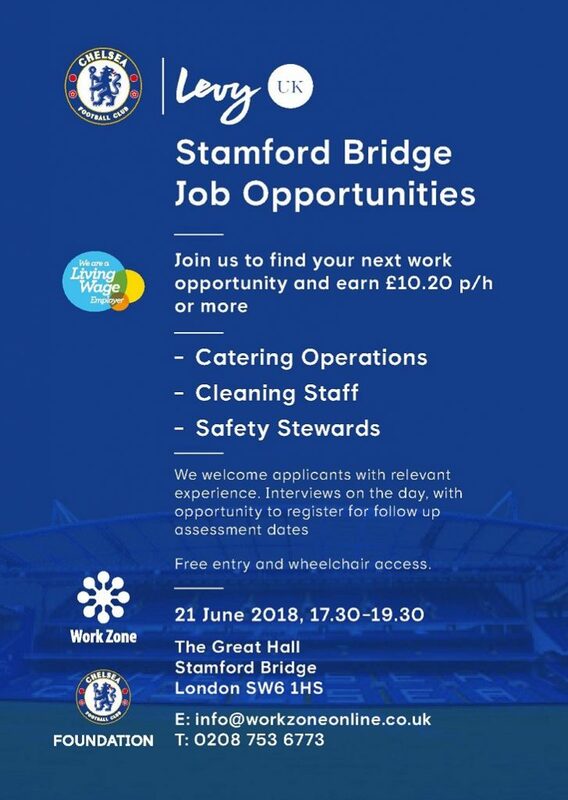 Come and see us to find out more on the 21st June 2018 between 17:30-19:30 at The Great Hall, Stamford Bridge, London SW6 1HS. Interactive demonstration stations will provide job insights and 1-2-1 interviews are available for those interested in joining our award winning team.